Beautiful renovated north end condo with everything you need for carefree living! Wonderful hardwood flooring & an amazing 263 sq ft patio (largest in the community!) 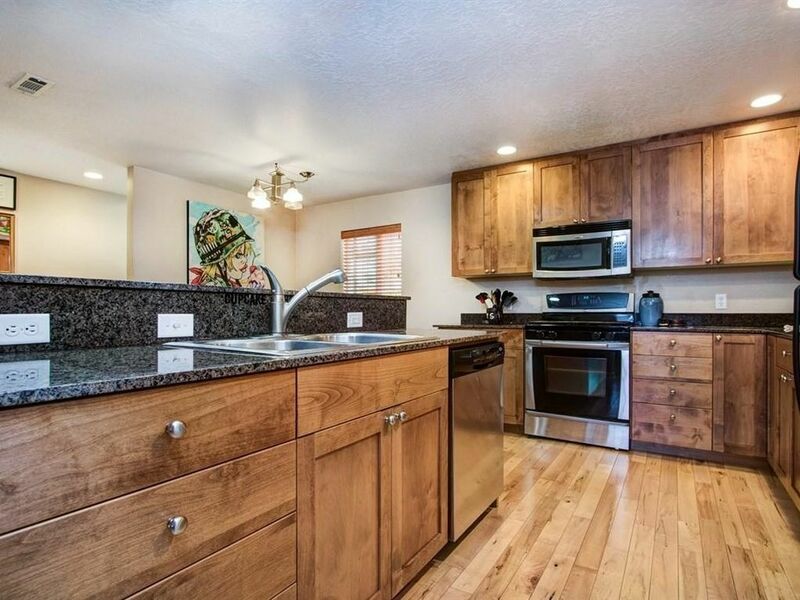 Great kitchen to cook in, incl gas range and plentiful granite counters. Stacked washer/dryer are included so you can move right in. 2 parking spaces & 2 storage units included. Community offers pool, hot tub, exercise room & even a laundry rm. HOA covers: water; sewer; trash; hot water; exterior maintenance; landscaping; snow removal & roof.